SUPER CLEAN! 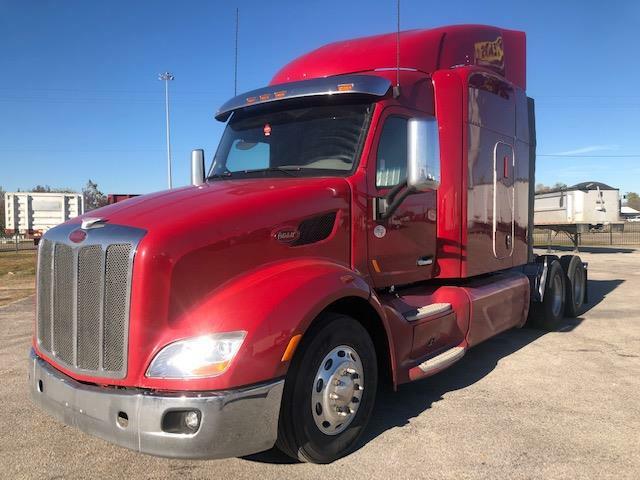 This beautiful Peterbilt 579 has been fleet maintained, meaning optimal fuel mileage and great maintenance history, but this isn't your ordinary fleet truck. It is equipped with a chrome visor, chrome grill, chrome bumper, power windows, power locks, power/heated mirrors, tilt/tele steering, and a 72" double bunk sleeper. This truck will turn heads going down the road. DOT ready, PM serviced and professionally detailed. 90 Day Confidence+ Power-Train Warranty included. Extended warranty, insurance, 24/7 roadside assistance, and financing available! We say yes when others say no! Call us today and let one of our friendly and knowledgeable sales consultants help you find the equipment you need.